PetSafe is a leading manufacturer of Dog In-Ground Fences, Instant Wireless Fences, Bark Control Collars, Remote Trainers and many other leading pet lifestyle products. PetSafe has developed In-Ground Dog Fences for Little Dogs, Big Dogs and Stubborn dogs. The same collars that work with one fence will work with any other PetSafe In-Ground Dog Fence. Got a little dog and a big stubborn dog? No problem. Get a PetSafe Little Dog or Stubborn Dog In-Ground Fence and add a second collar for your specific needs. They even make In-Ground Fences for cats! PetSafe is the only manufacture in the market with a true yard Instant Wireless Dog Fence. With a 180 foot radius and the ability to expand to any size the PetSafe Instant Wireless Dog Fence is perfect if you don’t want to bury a wire. PetSafe has developed a Bark Control collar for any dog. With models specifically for little dogs, big dogs, normal dogs and stubborn dogs you will find the right collar for your situation. Don’t want to use static correction? PetSafe has developed top of the line Spray Bark Control Collars. Maximum yard, maximum boundary. YardMax Rechargeable In-Ground Fence offers the best, most reliable pet containment system and maximizes the amount of yard space for your pet to play freely. Our most advanced in-ground fence system keeps your pet in. The PetSafe PIG00-10777 Stubborn Dog In-Ground Radio Fence is specifically designed for stubborn dogs. Available with different wire options. This in-ground fencing system is one of the most affordable ways to keep your dog safe and secure in his own backyard. PetSafe MIG00-11013 Standard In-Ground Dog Fence is the same fence as the PRF-3004W but has wire options. What a deal to contain your pet........ You choose to get wire or not and the wire you want. PetSafe Pawz Away Outdoor Pet Barrier PWF00-11923 Place the Outdoor Pet Barrier in any area you want your pet to avoid. No more getting into the trash, jumping in pools or ponds or digging in flower beds. PetSafe Pawz Away Extra Outdoor Barrier RFA-378 Place the Outdoor Pet Barrier in any area you want your pet to avoid. No more getting into the trash, jumping in pools or ponds or digging in flower beds. The Standard Receiver weighs only 2.3 ounces. Measures 1 3/4 x 1 x 1 ¼ inches. The Standard Receiver uses a common 6-volt battery (included with every receiver) with an average battery life of 3-4 months. Compatable with the PIRF-300 Pet Deterrent system. Also use as an add on to your PetSafe / Radio Fence In-Ground Containment system. This Car Adaptor is designed for the WiFi Wireless Dog Fence but works on many wired Dog Fence systems too. 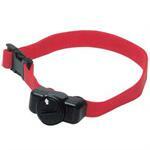 These Premium Quality dog fence collar probes fit all Invisible Fence and Contain-a-Pet Brand Dog Fence Collars. They also fit Petsafe Brand ProLite and Pro280 pet containment receiver collars. This kit will give you everything you need to make your Petsafe brand dog fence Collar look and perform as good as new. Our Dealer Quality hidden fence accessories are designed and manufactured to fit perfectly and deliver lasting performance.